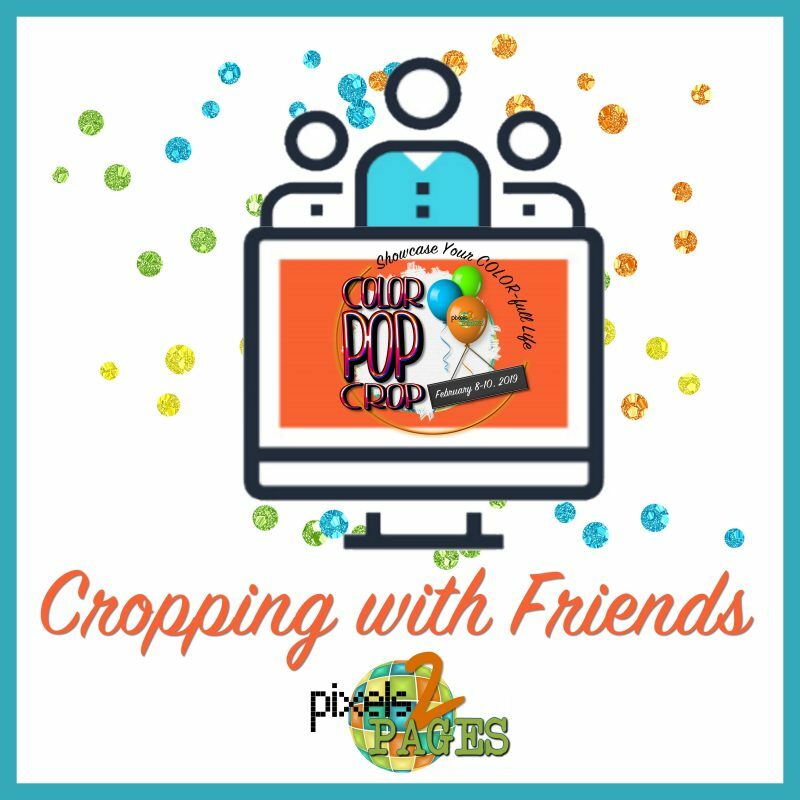 Are you cropping with friends? Have you gathered together in person? Maybe you can’t meet up with your friends for this crop, but you are cropping along virtually. You can even be a team of one with a fur friend by your side. We want to know who you are cropping with and we want to see how much fun you are having. So this game is simple. If you have a cell phone, you can participate. We want to see the fun you are having. Take a short video (1-2 minutes) of you cropping with friends. Tell us what project you are working on. Share your favorite parts of the crop so far. Give some words of encourage to your fellow croppers and then add your video to the collaborative album. This activity is a great way to see the FOREVER Premium Video Plan in action as you will be able to play the video directly in the collaborative album. The first person to post their video in this album will win a digital art kit for themselves and the croppers they are cropping with (in person). We will select at least 3 additional winners for this game who will win the exclusive Blueprint of the day. If you struggle with videos, feel free to add a photo of you cropping with friends. 1 winner will be chosen from any photos posted. Page must be uploaded to the collaborative album before 11:59 PM Eastern on February 9, 2019. Once you upload your video to our collaborative album, feel free to share a link to the pixels2Pages Community. You click on your video or photo to open it in the light box and then copy the URL from the browser and post that link in the pixels2Pages Community. Note: This option is only for sharing from the collaborative album. This is not generally how you would share from your FOREVER account. You should use the green share button when sharing from your account. Tip: If you have already been to one of our collaborative albums, you can open up the FOREVER App after using your phone to record your video. Go to your Albums and you will see a link for Share Albums I’ve Visited. Click that link to get to the Games collaborative album and upload your video. Alternatively, you can transfer the video to your computer and then click the link below to add your video to the collaborative album. I wish I could Crop with a friend..I wish I could crop with P2p too. But here in Michigan we have had bad winter storms for the last two weeks and I have lost power and internet, so many times it’s not funny. So I am so glad that I can go back and pick up the information, video, and goodies, including the great Ideas that everyone is posting. Thank God for P2p membership. Have a wonderful rest of the crop and I will be here as long as my power holds on. Hugs from frozen West Michigan. I totally hate recording myself, but I want the exclusive BP so I did it!